There will be no Tarot Meditation Drawings till further notice. Spring is battling an illness that is playing havoc with her energy which in turn impacts her ability to connect to spirit and relay messages from the cards. Thoughts and prayers are welcome. 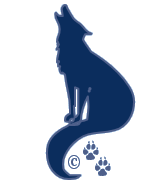 Thank you Springwolf, for doing what you do,helping people like me live a better life. My prayers and thoughts are filled with positive energy and love for you during this trying time. You are wonderful at what you do. First I’d like to take a moment to Thank you, truly for allowing me to utilize the information you provide on your site so that I am on the journey to being better. I am sending you positive energy filled with healing and comfort. Hope that you make a smooth recovery of whatever illness your enduring.